The Hellenic Army Amphibious Special Forces units are the main users of the Greek-made Motomarine Magna 960 rigid inflatable boats. Hellenic Army picture. 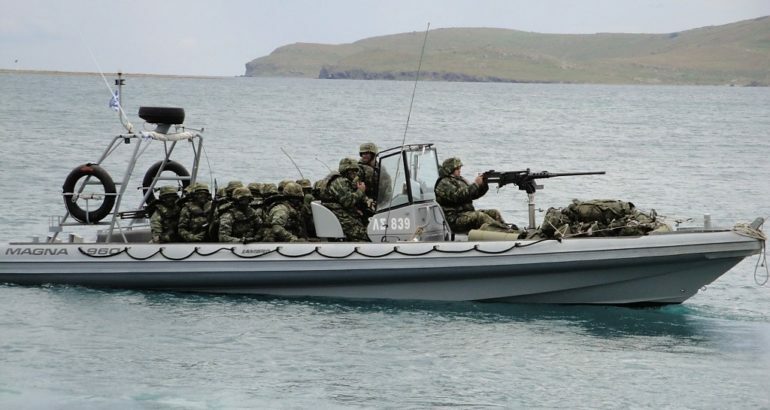 The Hellenic Army Amphibious Special Forces units will be equipped with new fast-craft boats, according to a public tender published in mid-February. The General Directorate for Defence Investments & Armaments (GDDIA) of the Hellenic Ministry of Defence tender is for 41 Special Operations Craft at a cost of EUR 16.02 million. The programme assumes the provision of initial training, life-cycle technical support, reassured operational availability for a period of 15 years and initial support for 7 years. The framework programme will run until 2022, with funds being released incrementally. 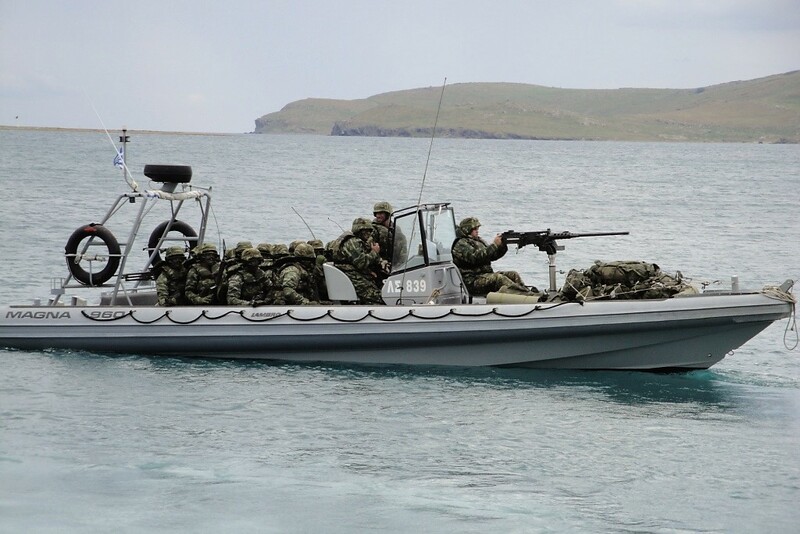 The Hellenic Army Amphibious Special Forces units are the main users of the Greek-made Motomarine Magna 960 rigid inflatable boats, while a very small number is used by other units. The RIBs are used at strike missions and can carry a total of 15 troops, with their equipment, along with three crew-members. They can sail at distances of 150 n.m. with a speed of 48 knots when fully loaded.